I didn’t make any New Year’s resolutions for 2012. 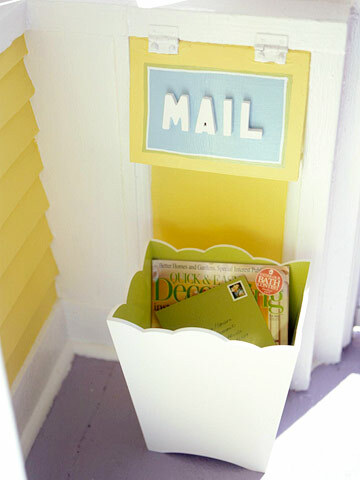 But if I had, I would have resolved to get my family’s mail situation under control. The sheer volume of catalogs, credit card solicitations, statements, political mailings (don’t ask! ), and even the occasional personal greeting that arrives at our home each day is staggering. I don’t consider myself a disorganized person. But when it comes to mail, I am drowning in a huge, embarrassing mess. Our typical behavior is to immediately recycle catalogs we know we don’t need, and create a bizarre system of piles on our kitchen island of opened and unopened mail not well understood (or maintained) by the other spouse. When our cleaning service comes, it all gets stacked up and shoved into a drawer, only to emerge when we “feel like” there are probably some bills due soon. I’d be lying if I told you that important things didn’t get lost in the shuffle from time to time. So I have made the decision to fix this problem once and for all. In researching different creative and commercially-available solutions, I’ve come to realize that many won’t be functional for our home. 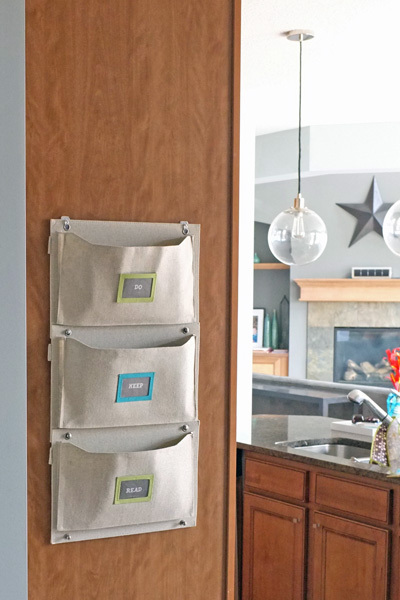 The most logical place for the mail to come in and be processed by us, given the layout of our home, is the kitchen. 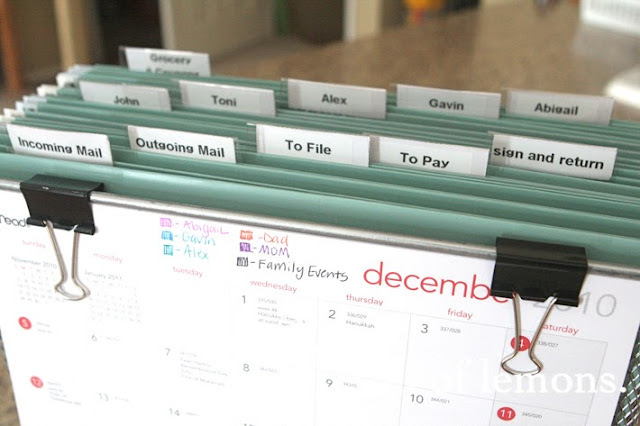 Realistically, we can process organized, culled down mail flow on a weekly basis. I’ve ordered some materials to create our mail organization system, and I hope to post the results here as a follow-up next week. And then again in a few more weeks, to let you know if we’re still using it after the honeymoon is over :). I have seen your ‘Before’ and you are right not to share! I am excited to see your results. My own dining table has become a dumping ground for unsorted mail so I can use some organization help myself!